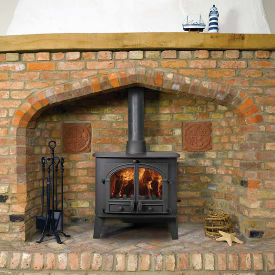 Stove expert replied: A stove should not be slumbering for long periods as this will only lead to clogging up. Most stove handles do get hot and gloves are normally supplied with the stove by the manufacturer. Ash pans need to be emptied regularly and should not be allowed to become full as this can lead to a shortening of the grate. Fantastic stove fiddly ash pan. Stove expert replied: Seems a sorry tale for this model. Customer is now purchasing a thermostat to see if this helps, also advised to check if flue lined as this may be allowing the gases to cool too quickly! Have suggested contacting Parkray direct as supplier seems very unhelpful. 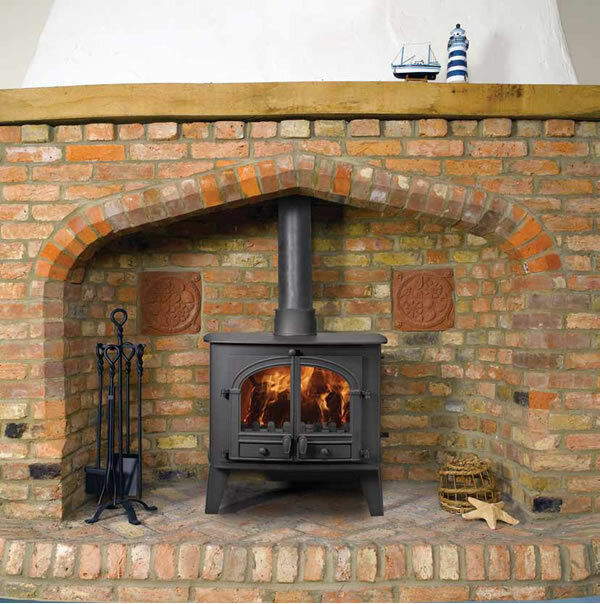 The Parkray Aspect 4 is a compact 5kW woodburner.